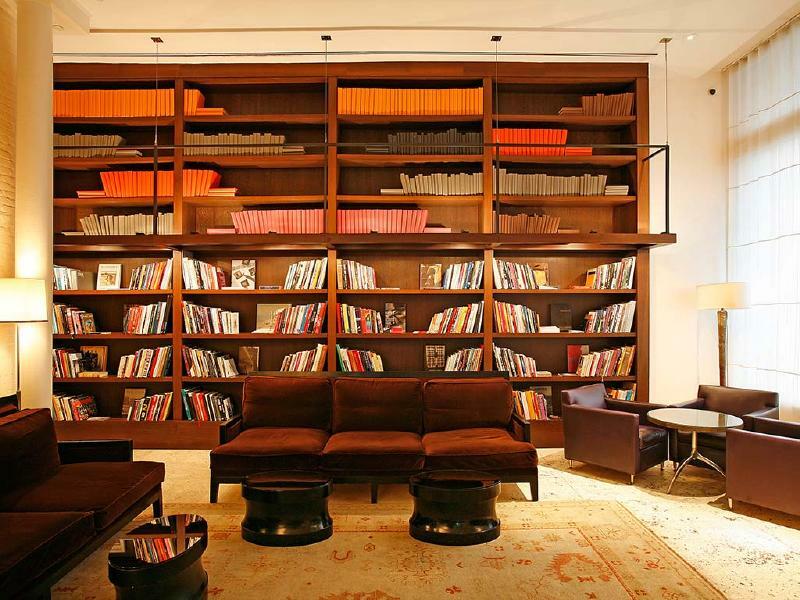 The ACL Guide to New York Hotels Young & Old | A Continuous Lean. New York City is home to a staggering two-hundred-fifty plus hotels, ranging from five star palaces to hole in the wall hostels. And yet, even with mind-boggling number of options many visitors to the city end up just settling for whatever hotel they’re most familiar with, and that right there is a colossal mistake. New York hotels, old and new, are an attraction in their own right, and each one is as unique as the city’s eight million plus inhabitants. From a stately high-rise on Madison, to a renovated factory in Williamsburg, New York has a bevy of classic and contemporary hotels that are well worth a stay. The Plaza: Barefoot in the Park, Scent of a Woman, Almost Famous, The Great Gatsby, American Hustle. All these films (and many, many more) have been filmed in and around this one-hundred-seven-year old hotel, because few buildings epitomize classic New York quite like The Plaza. The Pierre: Elizabeth Taylor, Yves Saint-Laurent, and Sumner Redstone all once called The Pierre home, and that air of opulence still lingers today from the legendary rotunda up to the ultra-expensive Penthouse suites soaring five hundred plus feet over Central Park East. 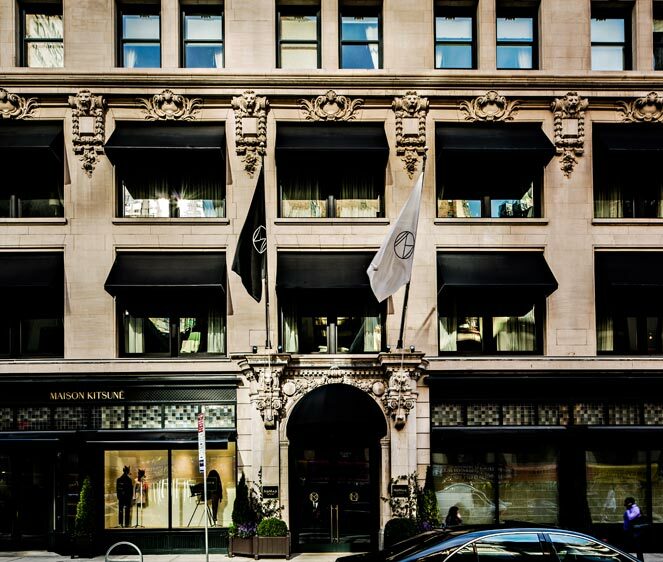 Hotel ElysÃ©e: Tennessee Williams died in the â€œSunset Suite,â€ the downstairs restaurant, the Monkey Bar is co-owned by Vanity Fair editor Graydon Carter, and no two rooms are identical at this small, yet storied boutique in Midtown East. 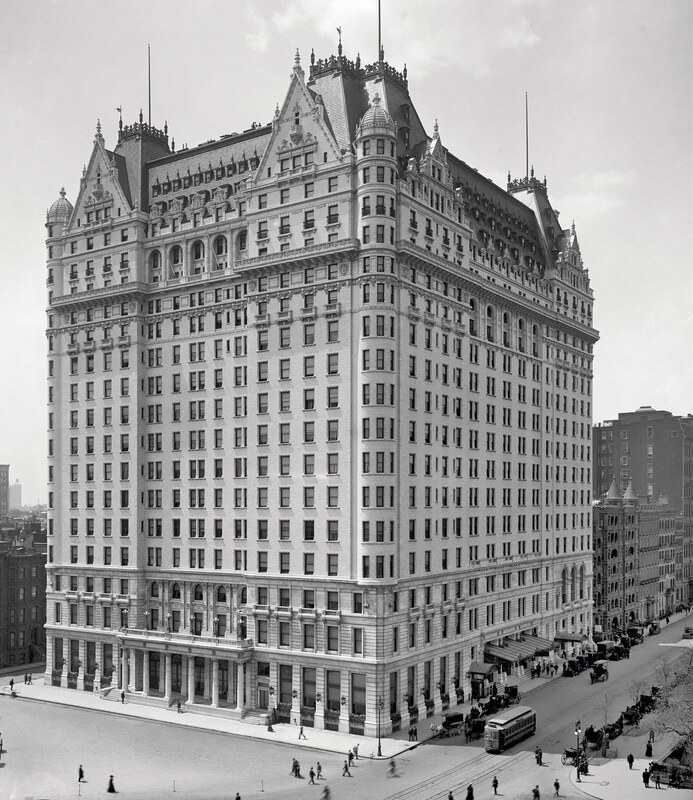 The Waldorf Astoria: The Waldorf was the first to hotel to offer room service, it has its own railway platform, and Marilyn Monroe once took up residency here. While this recently renovated hotel doesn’t run cheap (in fact none of these classics are easy on the wallet) it remains one of the most grand hotels in all of Manhattan. We also just found out that the place is worth about 2 billion dollars, so we can understand how they can get those high rack rates. The Carlyle: Known during the early sixties as “the New York White House,â€ JFK spent many days at The Carlyle, and even apparently snuck Marilyn Monroe up through the hotel’s network of tunnels for a few clandestine conferences. 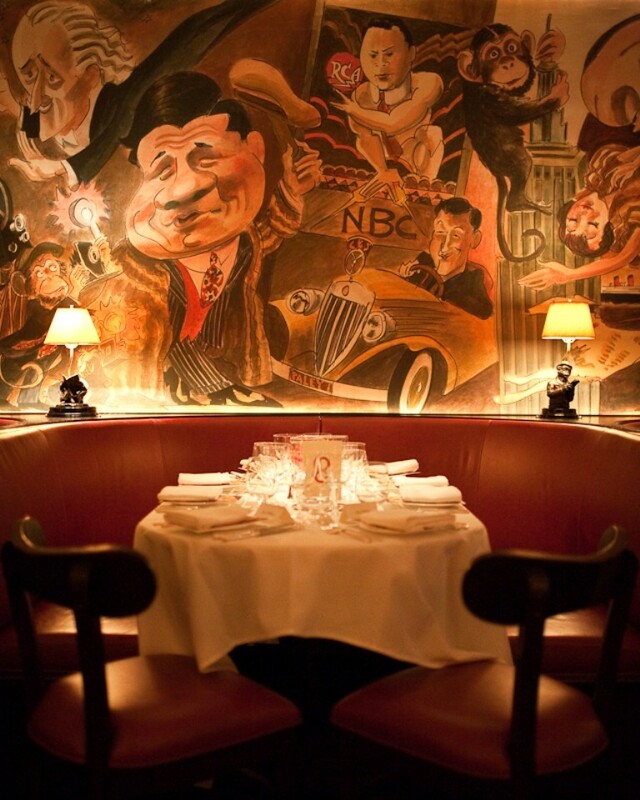 As an added bonus Woody Allen plays weekly in a jazz group at Bemelmans Bar downstairs. 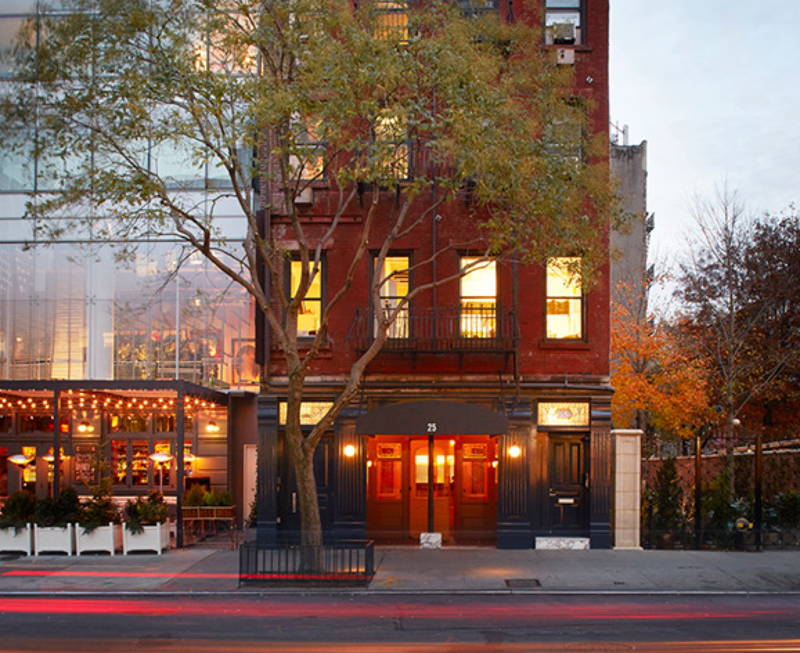 The Standard East Village: The latest addition to Andre Balazs mini-empire, the Standard East Village is often overshadowed by its West Village counterpart, but the Cooper Square location is a more tranquil, and all around more manageable spot. The Jane: Perched just a few steps the Hudson River, The Jane was originally built as a lodging house for weary seaman, but today has been converted into a splashy destination hotel, with a healthy dose of ocean-inspired details. The Wythe: The Wythe could be considered the last thing that hipsterfied Williamsburg was missing: a swanky boutique hotel with a rooftop bar and prices on par with (if not above) comparable spots in Manhattan. Although with a gorgeous interior, a great restaurant, and some incredible views, the Wythe might just be worth the trek across the river. The Mercer: Located smack dab in the middle of SoHo, the Mercer is another Andre Balazs production, and the sister hotel to LA’s Chateau Marmont. Despite it’s central location (and frequent celebrity guests) the Mercer is actually a fairly peaceful, and quite beautiful place to stay. The NoMad: When it made its debut a couple years ago, the NoMad marked a new era in the New York hotel world. Billed as somewhat of an â€œAce Hotel for grownups,â€ The NoMad is a more streamlined and stylish riff on â€œNew York cool.â€ Think less kitschy, more sleek. The Bowery: The Bowery ain’t what it used to be, but in the case of The Bowery Hotel that is quite a good thing. Located somewhere between the East Village and NoHo, TBH is a downtown hotel, that’s quiet enough to feel like anything but. And they’ve got a pretty damn good restaurant to boot. The Gramercy Park:In another life, Humphrey Bogart was married here, The Kennedy’s lived on the second floor, and Babe Ruth drank at the bar. The Clash, David Bowie, The Stones and Madonna laid their heads down at the GPH. Today, that grandiose spirit lives on with an art selection that was curated by Julian Schnabel and some seriously dramatic interiors. The best perk of all though, is that if you stay at the hotel, you get your own key to Gramercy Park, arguably the most sought after key in the entire city. 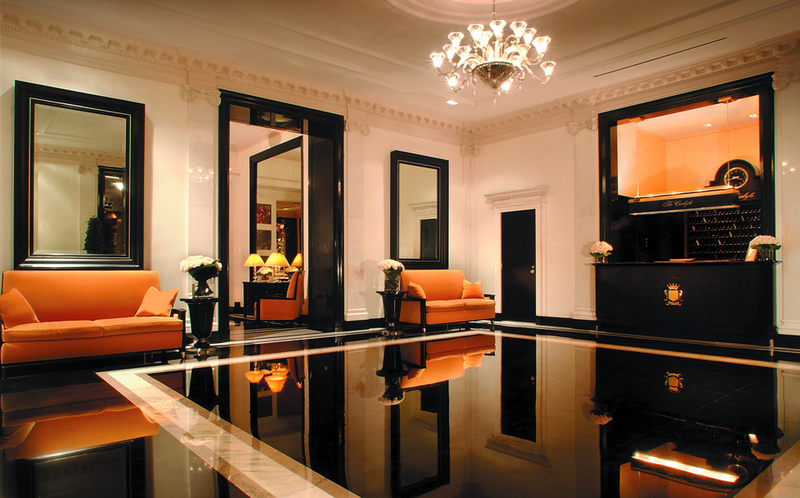 The Greenwich: Some hotels have celebrity guests, The Greenwich has a celebrity owner. But despite the fact that Robert DeNiro owns this 88-room hotel though, it’s far from glitzy. Located in TriBeCa on the more mellow side of downtown, The Greenwich is unimposing, comfortable, and most importantly, quiet. The Mark: The lobby looks straight out of an exhibit on Italian futurism, the furniture is modern, and all the walls are adorned with art by big-name. Yep, if you forgot where you’re at, you could easily think that you’re downtown, but The Mark is actually located far north at Madison & 77th. While it does feel more downtown than uptown, The Mark does have a few Upper East Side appropriate features including their own John Lobb shop and a Jean-Gorges restaurant. 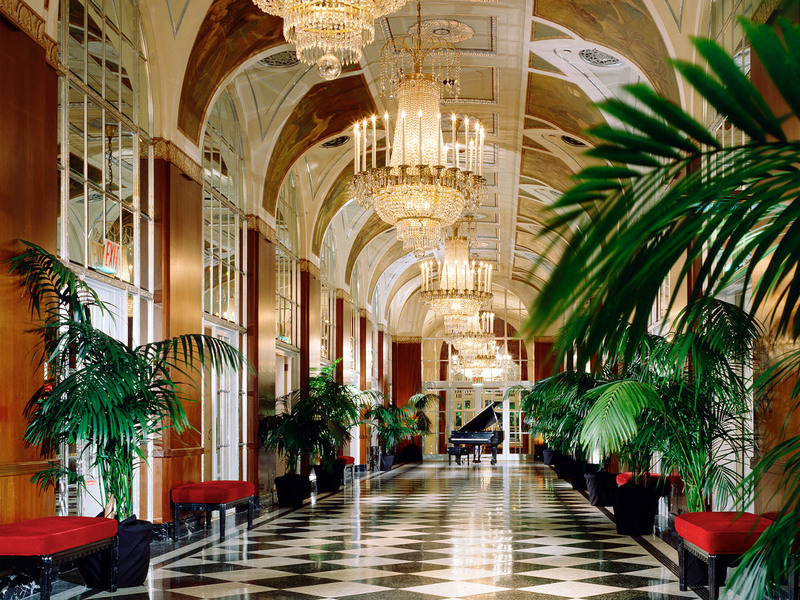 Scent of a Woman was filmed at the Waldorf. you’d think North By Northwest should get a mention for The Plaza! Great list! We had wonderful experiences at The Marlton and The Surrey this year. 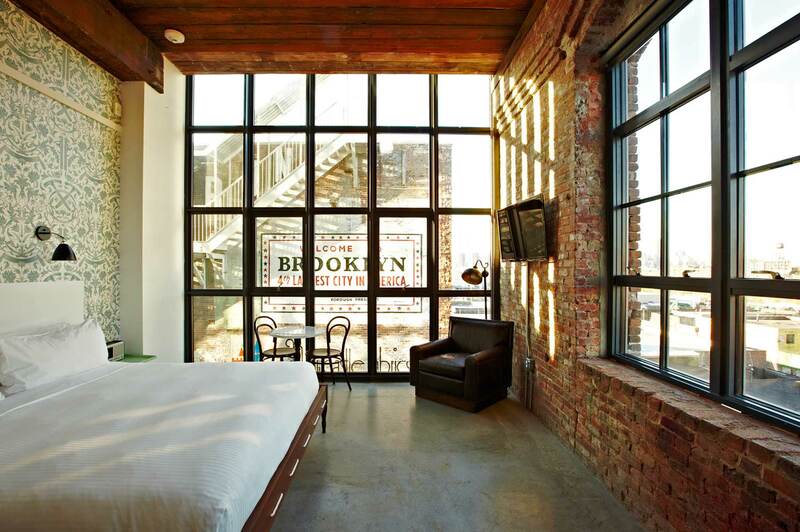 The NoMad and The Wythe are high on our list for future trips to New York as well. No love for the Ace? The Algonquin? More fun than the Plaza, but way less than the Carlyle. Never stayed at the Elysee but drank at the Monkey Bar. A find old place!